Increasing globalization of economic processes forces companies to strengthen intensively their competitiveness. They need to find new sources of competitive advantages and one of such sources could be the internalization of company operations. The use of geographical location may be an additional source of increasing the attractiveness and competitiveness of border regions and enterprises. Although there is no shortage of studies devoted to trans-border cooperation and in fact its political and legal context, there is a deficit of publications devoted to actual readiness for undertaking trans-border cooperation by Polish and Belarusian companies. This may be due to the specifics of conducting research in Belarusian enterprises and the difficulty of reaching companies there. The objective of this text is to identify the level of current cooperation between Polish and Belarusian businesses and their readiness to tighten this cooperation in the near future. The study found a large deficit at both continuation the existing cooperation and prospects for the possibility of strengthening it in the near future. The analyses showed that the dominant percentage of surveyed companies has not undertaken any cooperation with foreign companies (Polish or Belarusian) so far and does not intend to undertake it in the near future. 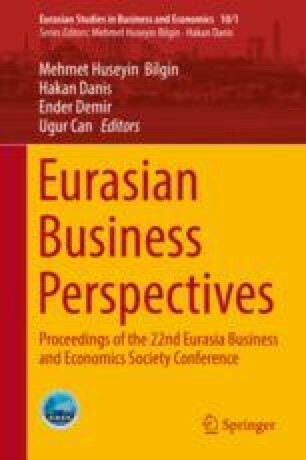 The analyses presented in this text are based on the results of wide research (for which the author of this text was part of the research team), carried out as part of an international research project within the agreement between the Polish Academy of Science and the National Academy of Science of Belarus (in the years 2014–2016) “Readiness of enterprises to create cross-border networking”. The research was conducted within the statutory work of the Department of Organization and Management at Bialystok University of Technology and was financed from Polish Ministry of Science and Higher Education funds.